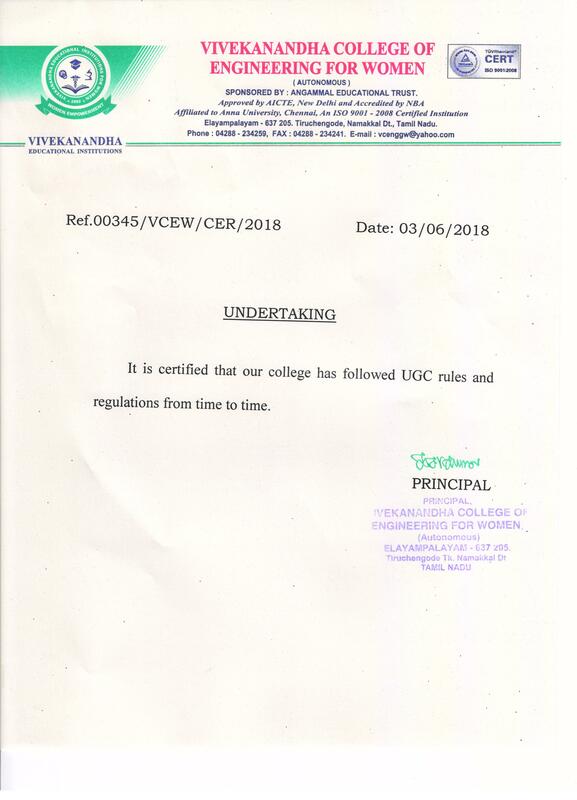 We are very happy and proud to inform you that our VIVEKANANDHA COLLEGE OF ENGINEERING FOR WOMEN has secured 1st place in the Anna University Rank List among 516 Engineering Colleges in Tamilnadu. 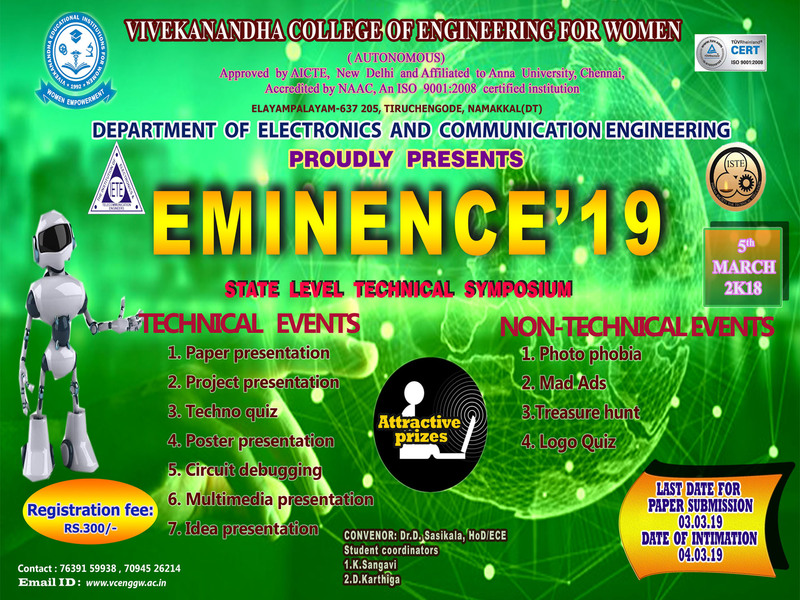 Department of CSE organizing International Seminar on “CYBER SECURITY AND ETHICAL HACKING” 04.03.2019 to 07.03.2019 Sponsored by Consortium for Indian Information Technology Education (CIITE), Chennai. 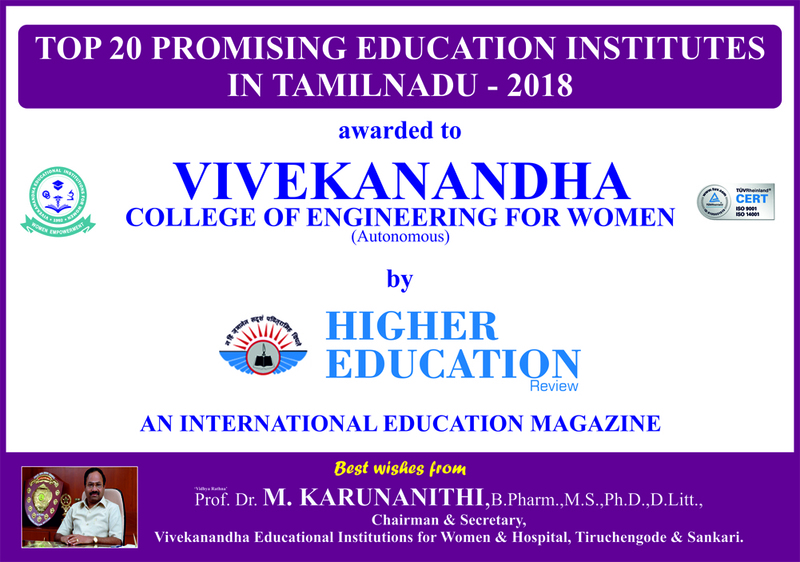 State Level Technical Symposium "Eminence’19"
Recognized as one of " Top 20 Promising Education Institutes"
Prof.Dr.D.Viswanathan did his Bachelor’s Degree in Mechanical Engineering at the Annamalai University, Master’s Degree in Production Engineering at the College of Engineering, Guindy, University of Madras. He obtained his Ph.D. from I.I.T. Madras in the field of Metal forming (Mechanical Metallurgy).